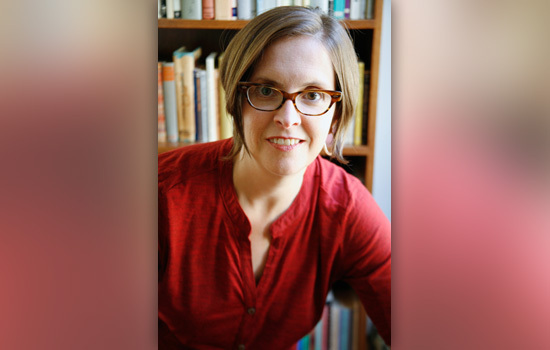 Evelyn Brister, associate professor of philosophy in the College of Liberal Arts, has been named as the first Fram Faculty Fellow in Applied Critical Thinking at Rochester Institute of Technology. Brister will assume her post immediately for the 2015-2016 term, according to Jennifer Schneider, RIT’s Eugene H. Fram Chair in Applied Critical Thinking. Brister received her undergraduate degree from Austin College, Ph.D. from Northwestern University, and recently earned an MS degree in environmental science from RIT. She also volunteers her time to work with a Rochester non-profit on park conservation and environmental education. Schneider also announced RIT faculty and staff for the 2015-2016 Fram Advisory Board: Jerry Argetsinger, National Technical Institute for the Deaf; Heath Boice-Pardee, Student Affairs; Roger Dube, College of Science, Clark Hochgraf, College of Applied Science and Technology; Barbara Lohse, College of Health Sciences and Technology, David Long, College of Imaging Arts and Sciences, Les Moore, Saunders College of Business; Sylvia Perez-Hardy, B. Thomas Golisano College of Computing and Information Sciences; Collette Shaw, Student Affairs; Lawrence Torcello, College of Liberal Arts; Brian Thorn, Kate Gleason College of Engineering. The Eugene H. Fram Chair in Applied Critical Thinking was funded in 2011 by an anonymous RIT alumnus who donated $3 million to honor Fram. A renowned local and national retail expert, Fram is the J. Warren McClure Research Professor Emeritus of Marketing who retired from RIT in 2008 after 51 years of teaching at Saunders College of Business.